Toyota is a Japanese brand dedicated to serving its customers with a high degree of personalization, much like our dedication to providing customers excellent service for all your automotive needs. 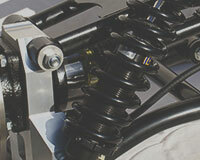 We offer a complete online catalog of Toyota Solara OEM parts and accessories at discounted prices. Introduced as sportier siblings to the mainstay mid-size Camry sedan, Toyota Solara, also called Toyota Camry Solara, was produced by a renowned Japanese automotive manufacturer Toyota Motor Corporation from 1998 to 2008 as a mid-size coupe/convertible. Originally built to appeal to a demographic of more sport-minded drivers, Toyota Solara absorbs the spacious practicality of Camry and appears sporty looks. But due to the slow sales and unexciting handling inherited from its Camry parent, the production of Toyota Solara ended after the 2008 model year over two generations. The first-generation Toyota Solara was produced from June 1998 through June 20003 and went on sale in 1998 as a 1999 model to replace the Camry coupe. For this run, it offered the SE, SLE trim levels and a Sport package. Initially, Toyota Solara was powered by a 2.2 I4 rated at 135 hp and 147 lb-ft of torque and a 3.0 L V6 producing 200 hp and 214 pound-feet of torque, then a 2.4 L I4 featured 157 hp and 162 lb-ft of torque replaced the 2.2 L. Either engine could be had with a five-speed manual transmission or a four-speed automatic. The most recent Toyota Solara was introduced in August 2003 as a 2004 model. Trim levels from the previous generation were retained as well as the 2.4 L I4 engine. But it got a new 3.3 L V6 rated at 225 horsepower and 240 lb-ft of torque and engines sent power through 4-speed, 5-speed automatic or 5-speed manual transmission. First, engine issue could be regarded as the most familiar and common problem that Toyota Solara drivers could have ever met. People dislike this issue as it often indicates the vehicle borders on breaking down. However, you still have a way to avoid the worst result, which means you could learn about these symptoms and solve them as early as possible. According to some Solara drivers, at the beginning, the vehicle will make squealing or rattling noises before it runs roughly, misfires, stalls or even has a problem in starting. 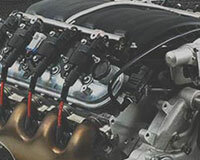 You may also notice a decrease in engine performance and gas mileage or cooling system failure aggravates all these so that Check Engine Light comes on to call for replacements for new Solara oil filter, oxygen sensor, timing cover, timing belt tensioner, timing chain tensioner, timing belt, timing cover gasket, water pump, air filter or fuel filter. Second, braking and transmission failures cause potential dangers while driving. The braking system is so vital that it may decide you whether reach the destination safely or not. Some Toyota Solara drivers complained due to the noisy and poorly brakes, pulsating brake pedal, locked up rear brakes, and score marked brake rotor, they have a lot of psychological burdens while driving. And all these symptoms could be attributed to defective Solara brake proportioning valve, brake pad set, brake disc and clutch slave cylinder. 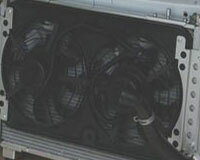 While transmission failure in Solara often result from shift cable and automatic transmission filter. In fact, it is very hard to keep the Toyota Solara at the prime condition consistently as some auto parts are bound to be more vulnerable than others due to all kinds of reasons. In order to make sure every part could play their roles perfectly, you need to practice routine maintenance on some vulnerable ones. Solara electrical parts such as door jamb switch, speed sensor, power window switch and seat heater switch are easy to go wrong due to a high frequency of usage. They need routine maintenance. 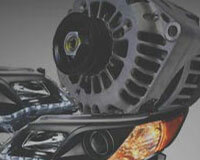 Other parts including seat belt, antenna, emblem, fog light bulb and headlight bulb also need. 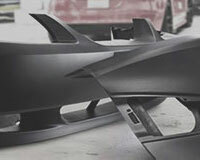 For your Toyota Solara's good, you should choose OEM Toyota Solara auto parts without hesitation as parts replacements. 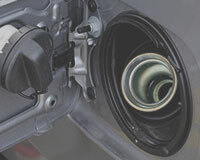 Quality, reliability and durability are guaranteed as genuine Toyota Solara auto parts from ToyotaPartsPrime.com are not only priced low but also covered by the manufacturer's warranty. As customers' satisfaction is always our priority, therefore, all OEM Solara parts from here could be returned without a hassle if you have any dissatisfaction with them. Moreover, all orders will be delivered to your door step at the fastest speed.